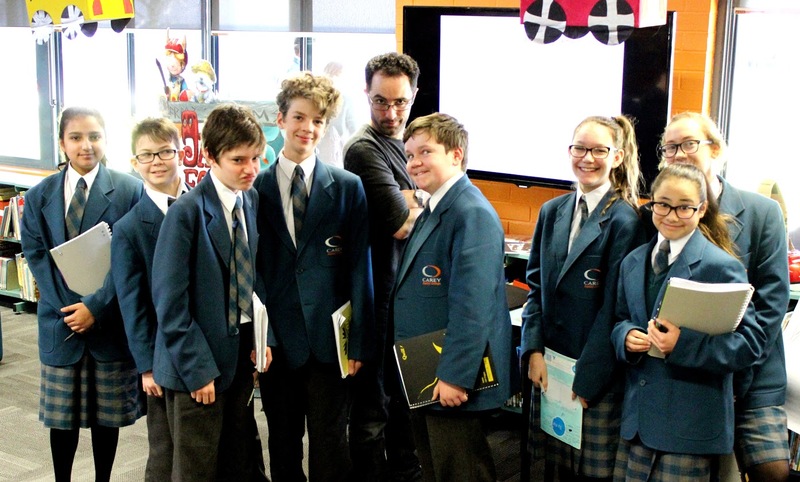 On Tuesday the 5th of August, we had a visit from author/illustrator James Foley at the Carey iCentre. James is the illustrator of The Last Viking and The Last Viking Returns, and the author/illustrator of In The Lion and My Dead Bunny, which will be released later in the year. 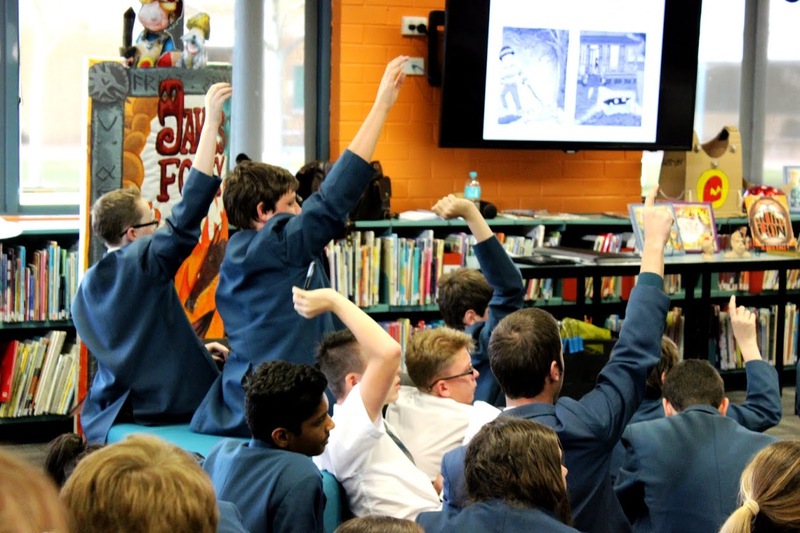 James came to speak to the year 7s and 8s about picture books, how it got his start in them and of his love of drawing. He shared art and stories from when he was at school, speaking of his early attempts at art and story writing, and how it progressed with practice, all interspersed with humorous stories. From there he shared of how he came into illustrating books, of the story-boarding and trail and error it took to arrive at the final version ready for publishing. 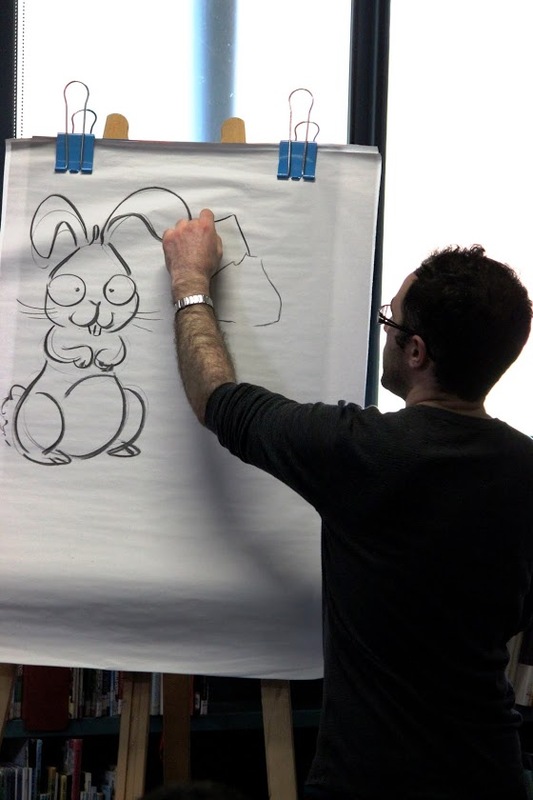 He also read and showed his latest book, My Dead Bunny, which is not yet out, explaining to the students why certain things are done in certain ways; colouring, layout, body positioning and more. 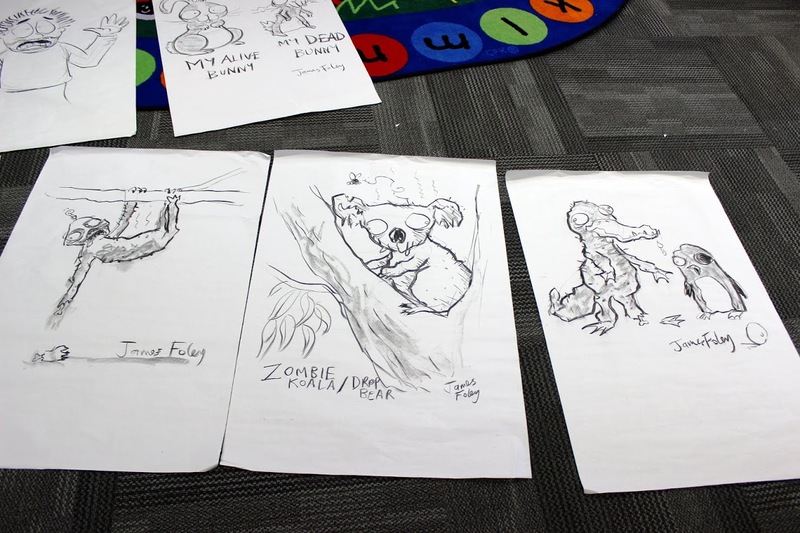 One of the things he did was to show the process of drawing the bunny both alive and dead – and then he took suggestions for other animals he could do the same with from the students. A number of different ones were attempts, from sloths to penguins, platypus to narwhals. 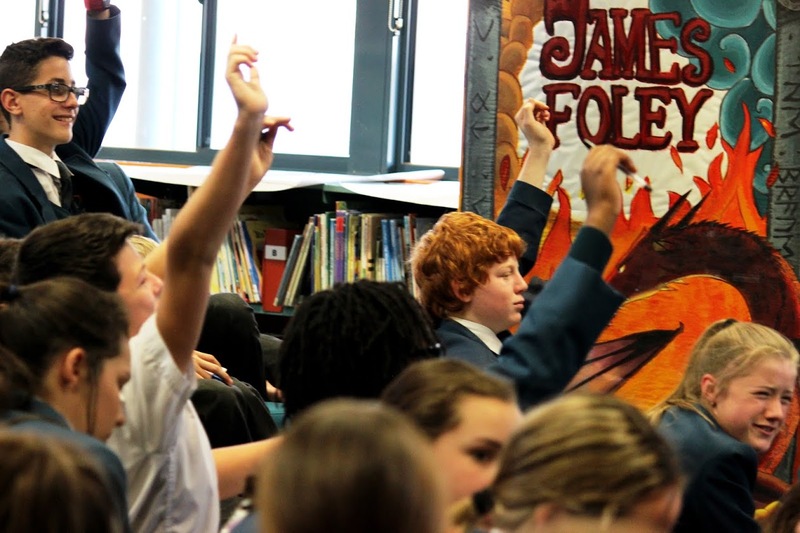 The students really enjoyed the visit, and who nows, some may follow in James’ footsteps as illustrators and authors. 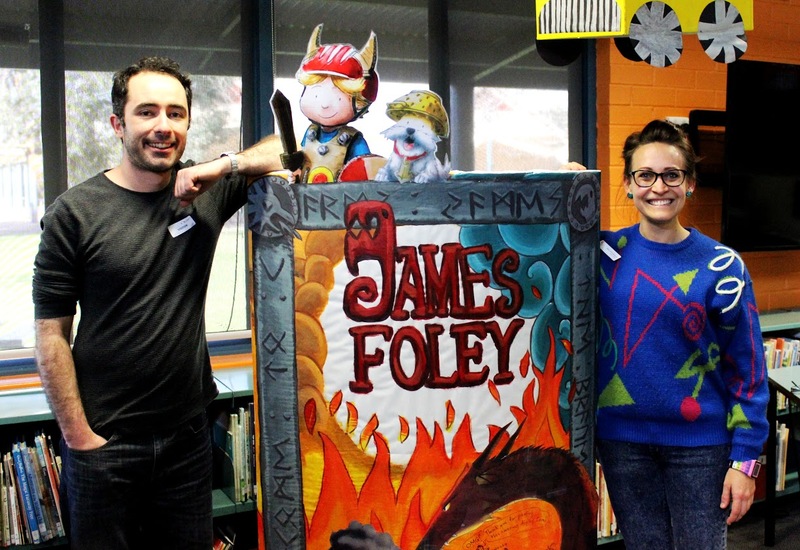 This entry was posted in Author Visit, James Foley and tagged Author Visit, James Foley, Library on August 12, 2015 by qorvus. 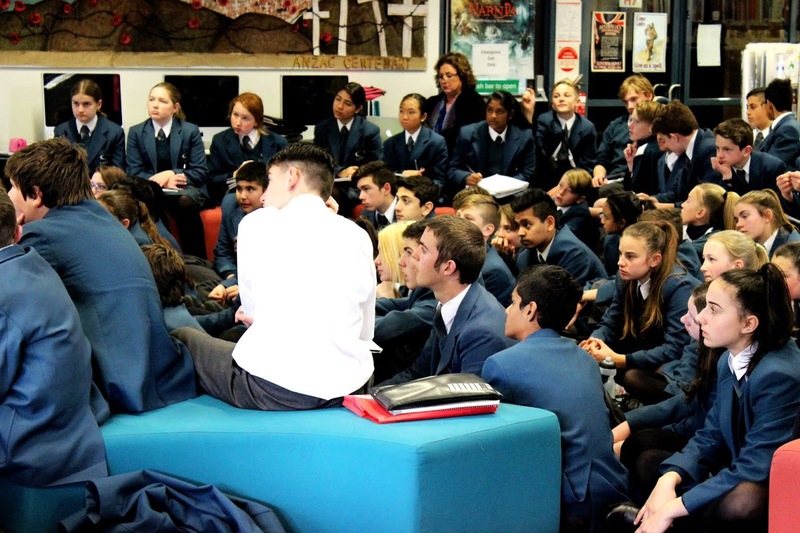 Thanks Prendiville iCentre for the great write-up on my visit!